Washington, Sept. 12 – For the first time in history, a TV show staring people with disabilities has won an Emmy Award– and one of the stars, Cristina, is Hispanic! The glass ceiling-breaking show is Born This Way, A&E Network’s critically acclaimed and award-winning original docuseries, which airs Tuesday nights at 10/9c. Beating out five other series including previous winners Deadliest Catch and Intervention, Born This Way won the Emmy for Outstanding Unstructured Reality Series at the Creative Arts Emmy Celebration Sunday evening. The show documents real life as Cristina and her fiancée Angel continue to look forward to their wedding, but have a lot of life skills to master before they are ready to live on their own. Produced by Bunim/Murray Productions, the series follows a group of seven young adults with Down syndrome along with their family and friends in Southern California. Recently, the series was chosen as one of six honorees for the 2016 Television Academy Honors, an award that recognizes television programming that inspires, informs and motivates. Until now, no series starring people with disabilities of ANY background has ever won an Emmy Award — and Born This Way includes positive images of Hispanic Americans. We know that actress Michelle Rodriguez has ADD and superstar Selma Hayek has dyslexia. It is really important when people with disabilities can be seen by the ABILITIES they have. Born This Way tears down barriers in many ways. 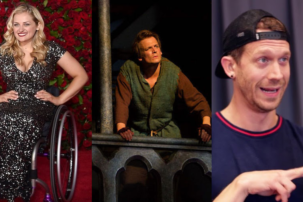 Not only does it star people with disabilities, those individuals are diverse. In addition to the fact that Christina is a Hispanic woman, Elena’s mother is from Japan and they show the immigrant experience. John is African American. This is important for several reasons. One is that when disability is depicted in culture, it tends to be all white. Real story telling requires exploring people with multiple minority status (i.e. Hispanic + disability). Secondly, far too many Hispanics and African Americans in America who have a developmental disability are not getting the diagnosis, school accommodations and high expectations they need to succeed. Only 61 percent of students with disabilities receive a high school diploma. Also, there are currently 750,000 people with disabilities behind bars in America – and the majority of them are people of color, as we noted in our report. The individuals who star in the Emmy-winning show and their families are models of how disability can and should be accepted and addressed in minority communities. It seems almost impossible that it has taken until 2016 for such a thing to happen. After all, one-in-five Americans has a disability. But according to GLAAD, which tracks minority representation in scripted programs, only one percent of characters we see on TV have disabilities. 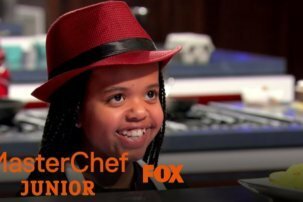 Moreover, the Ruderman Family Foundation just released a major white paper which found that more than 95 percent of those all too few characters with disabilities that actually are on television are played by actors without disabilities. 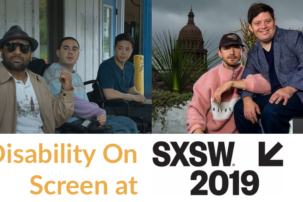 This lack of self-representation points to a systemic problem of ableism—discrimination against people with disabilities—in the television industry. It also points to a pervasive stigma among audience members against people with disabilities given that there is no widespread outcry against this practice. This is nothing short of a social justice issue where a marginalized group of people is not given the right to self-representation. We must change this inequality through more inclusive shows and casting, through the media holding the industry responsible, through the avoidance of stereotypical stories, and ultimately through the telling of stories that depict people with disabilities without focusing only on the disability. Born This Way, in starring people with disabilities, hits all the marks while also being a fun and fabulous show. Previous: BREAKING NEWS! Glass Ceiling Broken at Emmy Awards!